It is more important in education today than ever before to provide our students with an education that promotes individual talents and fosters innovation and creativity. We need to not only fill the minds of students with knowledge, but also give them opportunities to explore, create, design, collaborate, and innovate. 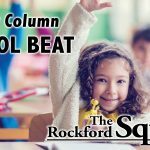 STEAM (Science, Technology, Engineering, Arts, Mathematics) classes and clubs will be growing and expanding at the middle schools in the fall of 2018 thanks to The Rockford Education Foundation for awarding $25,000 through the 2018 Founders’ Grant. To build on the success of the makerspaces in seven elementary schools in 2017, each middle school will see STEAM related opportunities for students during the day, after school, and have access to a makerspace to tap into their curious and innovative minds. The concept of STEAM education is to look at the areas of math, science, art and technology as an interdisciplinary approach to education. Students learn by solving problems and creating solutions and products. Through the STEAM programs established at the elementary and middle school levels, our students will be exposed to experiences where they are creators, engineers, designers, and problem solvers. Students will be diving into problems and working and collaborating to find solutions. Ordinary materials will become extraordinary products through the process of design thinking, research, and perseverance. 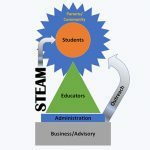 STEAM concepts and ideas will be embedded in elective classes (6-8 – STEAM I & II, Computer Exploration, Computer Programming, Robotics, Digital Literacy, Digital Communication, Digital Art), makerspaces (DK-8), and after school clubs (DK-8 i.e. General Coding, Raspberry Pi, Python, Drone, EU3, and 3-D Print). Concepts such as more hands on projects, including real world problem solving activities, integrating and applying learning, questioning and wondering, and giving students more control of their learning will be at the forefront of program development. 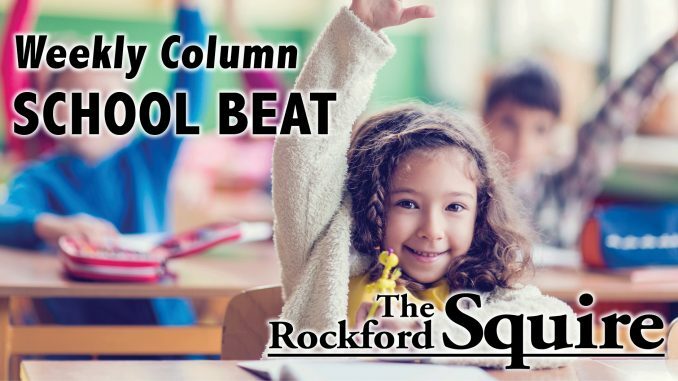 Rockford is building “STEAM” with plans for expansion and development at all grade levels, and will be showing students the many opportunities we have created and letting them see their own talent to become thoughtful, creative, and productive individuals.